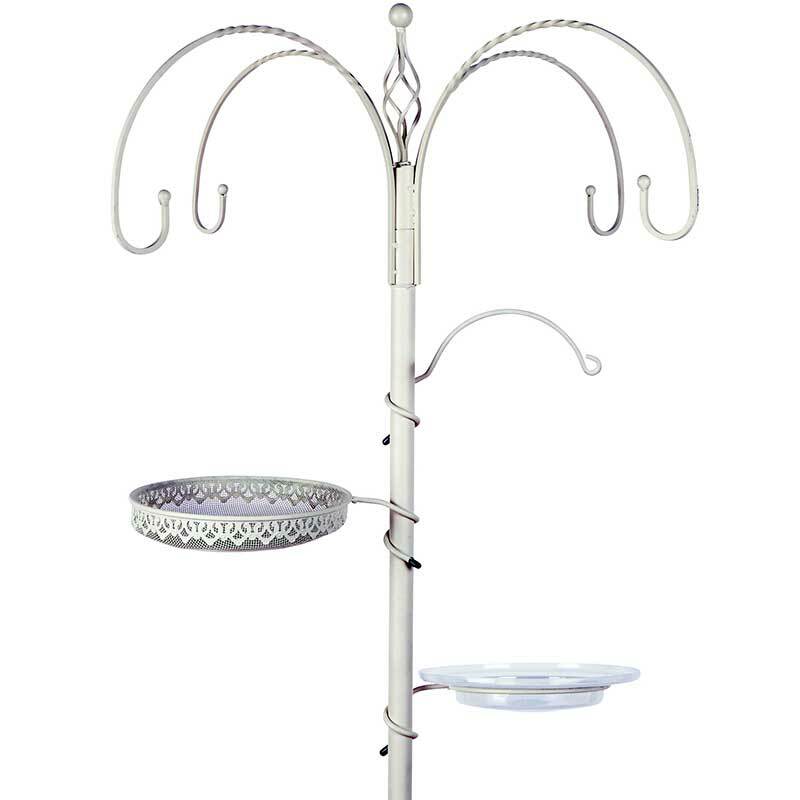 Gardman Decorative Feeding Station gives you everything you need to feed the birds from a single location, whilst doubling up as a centrepiece on your lawn. 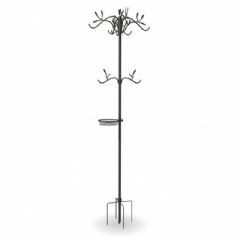 Made from high quality steel, this large pole features a five-way head that can be fitted with hanging feeders, along with bird bath and a large mesh seed tray. 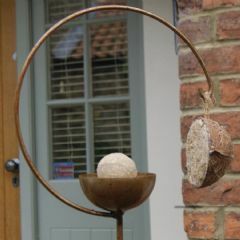 Create a garden centrepiece for wild birds to feed at. 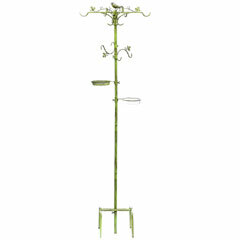 Made from high quality steel poles. 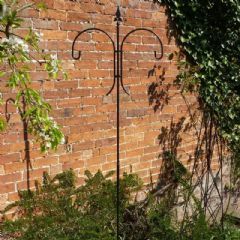 Five way head; bird bath, mesh tray. 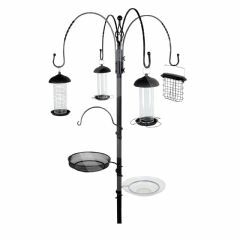 Enhanced by its top finial and spiral wire designs, this wild bird feeding station will also become a focal point in your garden. 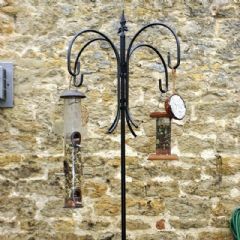 Bring a wide variety of wild birds to your garden with this attractive feeder. I ordered the wild bird feeder and was promptly delivered but the delivery company thought leaving a large parcel on my front door step was a safe place. No it was stolen After the delivery company investigated they told me to contact the seller. I explained what happened and they immediately agreed to send me another one and agreed to put the order through on Thursday so it would not come on Friday like the last one as I would be out all day again. Great customer service . THANK YOU. 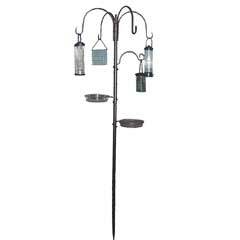 P.S STILL TRYING TO PUT UP BIRD FEEDER . It says 5 minutes to put together but I will do it but his is not a 5 minute job. 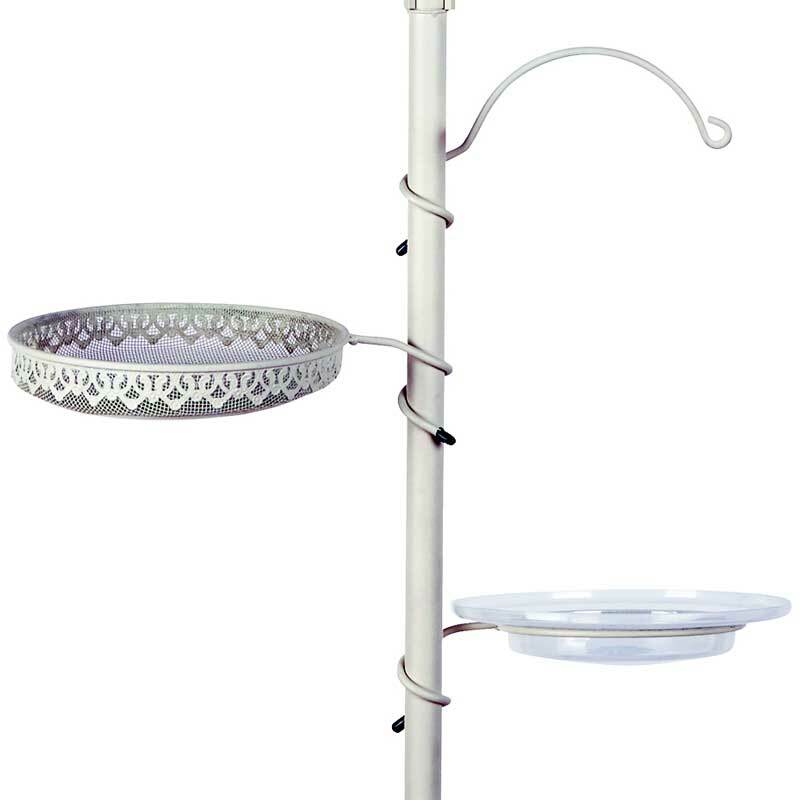 We are delighted with the overall design and sturdiness of this feeder. It is also elegant and pleasing to the eye. 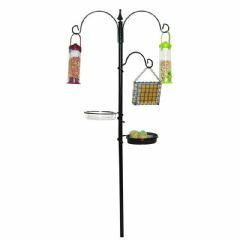 It is stronger than most that we have come across with plenty of options for adding feeders. Our only reservation is that the additional length of pole to add extra height did not fit properly due to the thread being faulty. However, it was not essential and we have done well without it. The order arrived with your usual swiftness. Thank you. I have recommended it to my daughter who has now ordered one.